Managing a multidimensional service ecosystem with disparate data sources can leave IT providers struggling to make sense of their service and product lifecycles. To put it gently, IT providers have a lot on their plate. From different levels of service to varying contract lengths and unique reporting needs, these companies have their hands full staying on top of service renewal lifecycles. Despite this immense complexity, a surprising number of companies continue to use rudimentary contract management solutions that slow business operations and exacerbate workplace inefficiencies. Managing a multidimensional service ecosystem with disparate data sources can leave IT providers struggling to make sense of their service and product lifecycles. A global hardware manufacturer, for example, will quickly discover that antiquated applications or CRM systems alone can’t process high volumes of data or deliver the business insights they need. Complex problems are rarely solved by simple solutions. Ironically, many IT manufacturers and providers are hesitant to upgrade their toolkits. 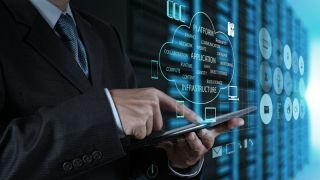 A recent survey found one in four technology providers don’t have tools to manage their product and service contract data, and 20 per cent still use Excel. With basic software, these organisations risk decreasing workplace productivity, losing out on potential revenue and overburdening already taxed renewal teams. 2. You have no visibility into your assets’ full lifecycle: Tracking contract expiration dates is not enough to keep your service renewal engine running. Whenever new contracts are signed, manufacturers must be able to start a paper trail that tracks every sold asset from service attach through to registration and renewal. Without each of these variables, manufacturers and their downline channel can’t deliver the right level of customer support, nor retain clients beyond their initial service agreements. 3. You work with multiple channel partners: Not all channel partners operate the same; each adheres to their own independent selling cycles and specific discount policies. Without a centralised platform that distributors and resellers can use to access contract data, manufacturers suffer from a fractured supply chain where customers and sales slip through the cracks. 4. You conduct business all over the globe: With distribution networks operating in different countries worldwide, tech manufacturers need contract systems that accommodate multiple language and currency requirements. Simple solutions are unlikely to offer the features necessary to ensure regulatory compliance and efficient currency conversion. With complex contract lifecycles, businesses need to embrace sophisticated, centralised systems that adapt to their channel ecosystem, priming them to capture 100 per cent of their existing revenue opportunity. An ideal solution is one that not only unites disparate data points, but also delivers product and service information to your downline channel. While off-the-shelf (OTS) products are ideal for manufacturers managing a handful of contracts, they are no match for tech providers that operate multi-tiered service contract ecosystems. Most commercial tools have limited functionality or lack integration and automation capabilities, forcing companies to rely on manual effort that leaves contract management prone to human error. For example, a recent MMI study found that more than half of tech providers still manually send renewal notifications to customers, risking customer relationships and revenue in the process. Lost revenue opportunities and poor customer service are just a few of the consequences manufacturers face when they continue to employ simple solutions. Basic contract management tools, while cheaper to implement upfront, can lead to higher operational costs and lower renewal rates in the long run. Rather than spend excess time using outdated software, consider investing in a solution that will accommodate your unique business processes, bringing maximum value to your downline channel and end customers. ● Channel-ready access: Businesses with a downline channel need tools that readily provide access to crucial service and product data. Instead of manually contacting each of your downline clients, providers should look for contract management software that lets your entire supply chain pull the data needed to facilitate quoting and renewals. ● Centralised visibility: The right contract management tool should instil order, not promote more chaos. Identify a solution that unifies your fragmented systems and contract data in one easy-to-read dashboard. A central interface lets you and your channel partners monitor timely contractual information, and paints an accurate picture of available revenue opportunity. ● Automated workflows: Instead of manually chasing down your various contracts, automating your service renewals accelerates sales and frees account teams to deliver the same white-glove service to all customers. Automation reduces time spent on cumbersome tasks like data entry, contract edits and email notifications, improving overall customer satisfaction and retention. Running a successful IT organisation in today’s market is a tall order. Watered-down tools and elementary processes not only hold businesses back, they are competitive disadvantages. To succeed in the new world of IT buying, manufacturers need to double down on contract management systems that tame their data, technical and customer complexities into an efficient, revenue-generating service renewal operation.